This is an excellent tool for visually impaired form users. 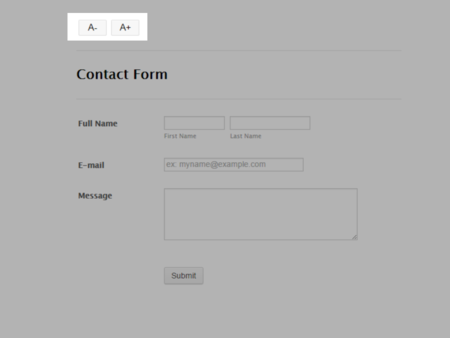 The widget adds a couple of buttons on the form which will increase or decrease all the text on the form when clicked. This is essential for visually impaired users, who will be able to clearly see all the form questions and instructions. Text Re-sizer requires no further configuration.